I didn't know how to put the title, so I settled with this one. In this post, I'm gonna write about a method I follow in order to remember medicine schedule, i.e., the dosage, time to take, etc. I visited a doc today and she prescribed a lot of medicines, that too, to consume them at different times. This method is simple, and all you need is a marker and the doctor's prescription. 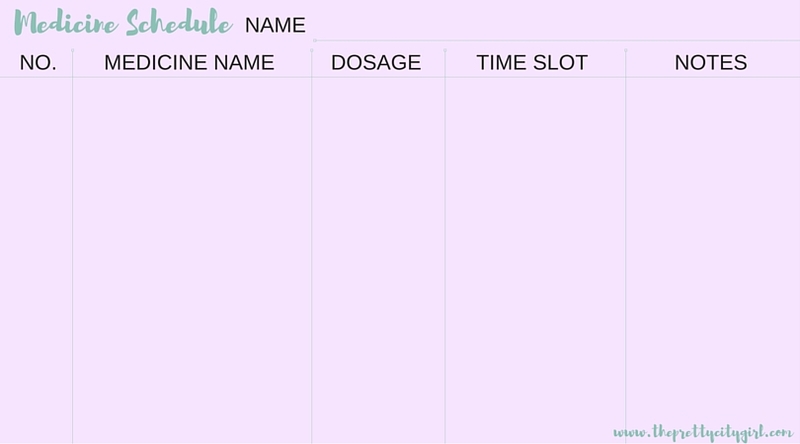 Just take the bottle or the medicine's strip, and write the dosage, with what to take, and the time slot on it. I have written something like '1 N | hot water', '2 N | 5 mins', '1/2 M | milk', etc. Here, 1, 2, 1/2 is the dosage; N and M stand for Night and Morning respectively; and hot water and milk mean that I have to take my medicines with them respectively. I have used this method many times and it has proven useful. I think you guys should use it too. And, if you find it difficult, there's a free printable to make things easier. HOW TO USE THE PRINTABLE? NAME: This is the name of the person who is consuming medicines. NO. : This is the serial number of the types of medicines you'll be taking. MEDICINE NAME: The name of the tablet/pill/syrup. DOSAGE: You can write something like '2', which indicates taking two tablets/pills at one go. If you're taking syrup, then you can write '1/2 tsp', '1 cap', etc. TIME SLOT: The time to take the medicine. You can write something like 'After Dinner', '5 Minutes Before Bed', etc. NOTES: You can write a summary of number of medicines you're taking in one time slot. For example, the doctor has prescribed four tablets after dinner, so I'll write '4 After Dinner'. This space is provided for notes, where you can also write 'take with hot water', 'take with milk', etc. 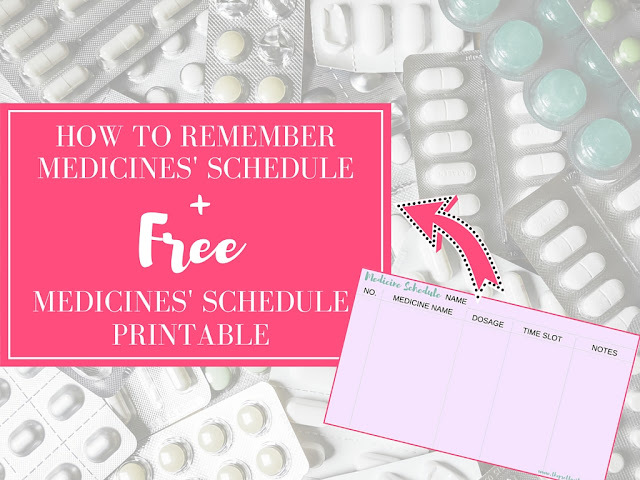 This printable can be useful for the doctors to write down prescription as well. If you need a formal-looking printable, request one. All you have to do is get this printed at wholesale rate and give them to your patients.